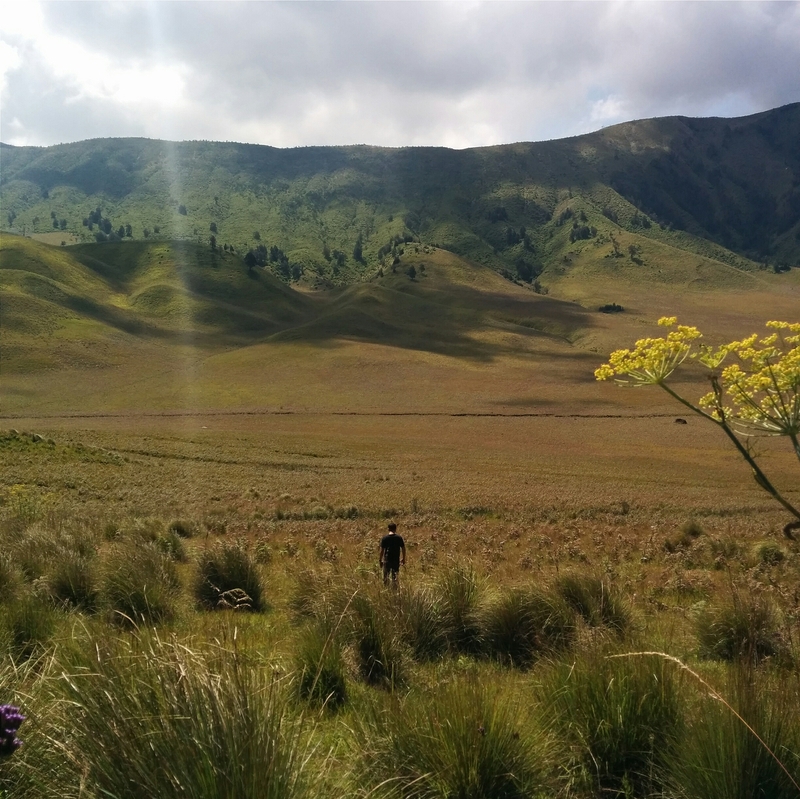 To say that Bromo is beautiful would be an understatement. One could spend all day roaming around its savanna, trying to catch what the sands are whispering in its desert, or watching the caldera changes as the clouds ascend and descend. 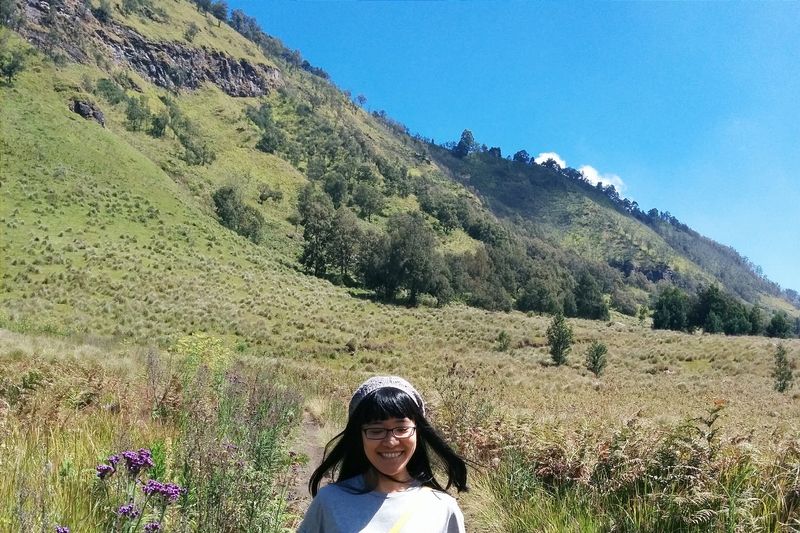 Yet, what I remembered the most was how Bromo reminded me of why I keep traveling: the sky. Being a Jakartan, I am so used to gray smoggy sky that I have forgotten to look up. 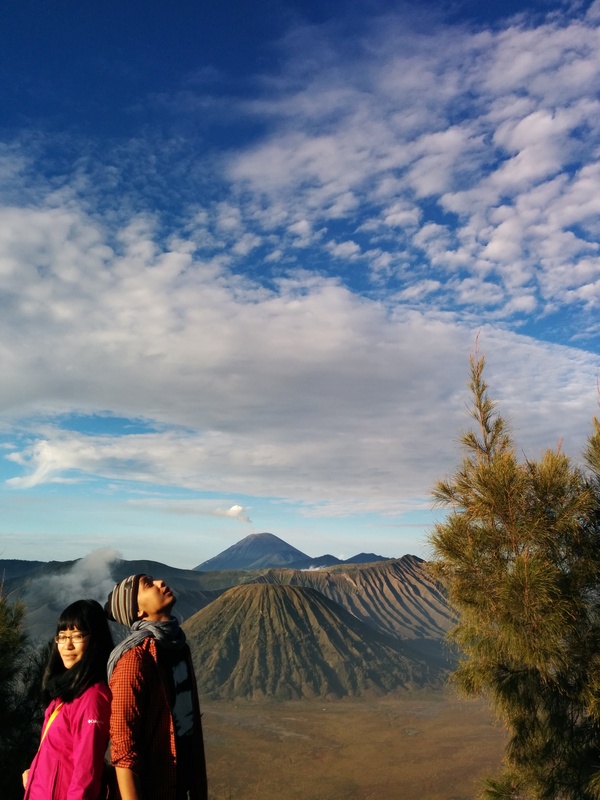 In Bromo, my neck hurt from looking up all day to see how vivid the sky really is. It could be so golden in the morning, achingly blue at noon, a mellow hue of orange-lavender at sunset, and a sparkly jet black at night. 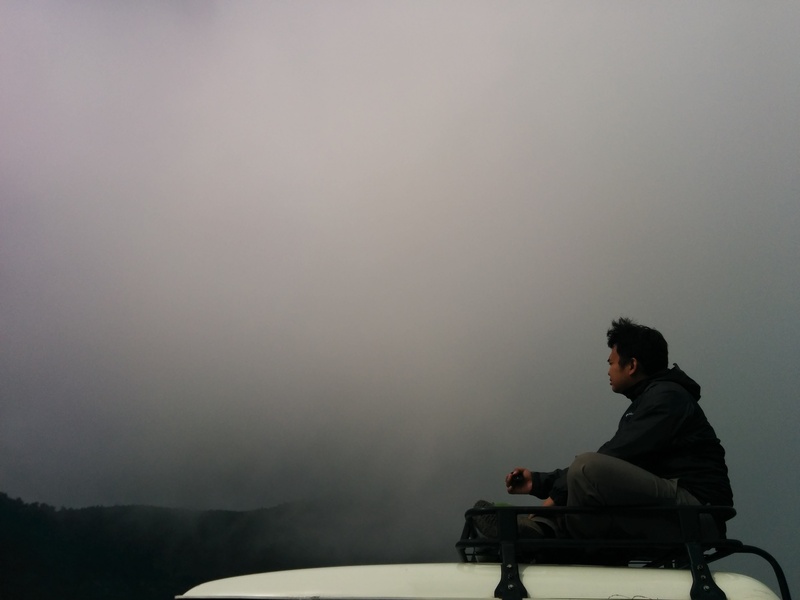 In fact, my favorite memory in Bromo was one left uncaptured, under the sparkly jet black sky. It was a little after midnight, when most of our travel companions chose to curl up in our homestay, while Twosocks found a World Cup viewing party in a security guard post a few minutes away. Najib and I had too much adrenaline from the day and too little interest in soccer, so we made ourselves comfortable on the sidewalk of an unlit bridge and looked up. I could tell that Najib wanted to laugh, but bless his heart, he didn’t. Instead, we talked about how metaphors for such a starry night never seemed to be quite adequate. Incubus, for instance, came up with “the sky resembles as backlit canopy, with holes punched in it” in their song ‘Wish You Were Here’. We then talked about how people made up the constellation centuries ago, and that we should gave it a try ourselves. I squinted hard. “A unicorn,” I said. “A boar,” I said again, a few minutes later. Najib started laughing too, and since his laugh is one of the most contagious I know, I laughed so hard I forgot to make my wish when more shooting stars flew by. The only thing I could think about, amidst our giggles, was how I long for the day I could see an otoped and a book in the Jakartan night sky. jadi ikut bayangin indahnya malam itu di bromo. oh. ya. salam kenal dari Sidoarjo. 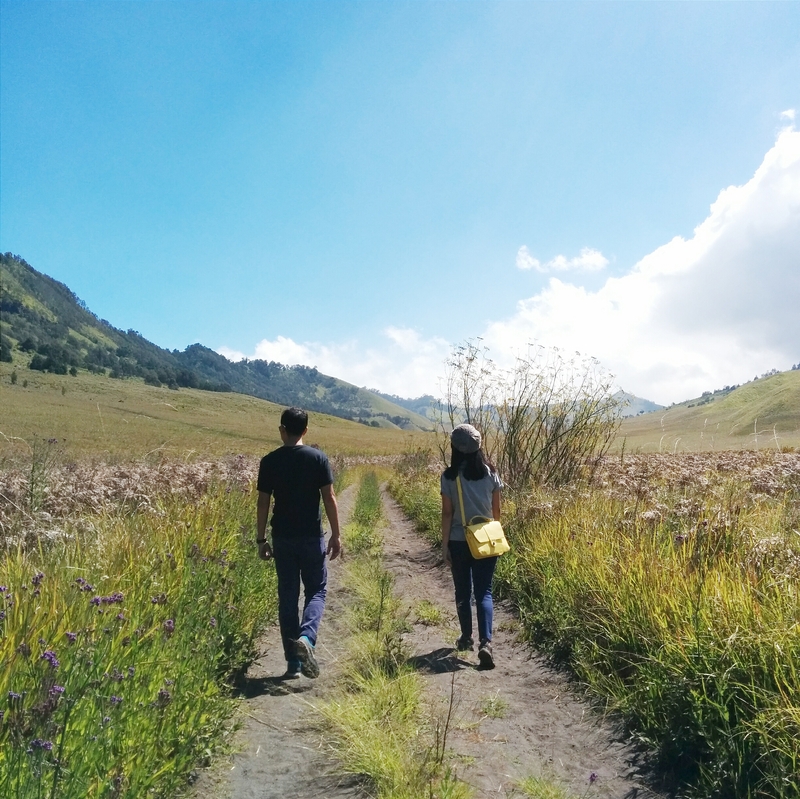 I wish someday I’ll find my perfect travelmate, like you found your Twosocks, Gypsytoes! Enjoy world cup final, Gypsytoes!